What Henri enjoys most about fishing is being out in the nature. He rarely takes his catch home - usually all great fish will be freed. He mostly loves to catch brown trout and pike. 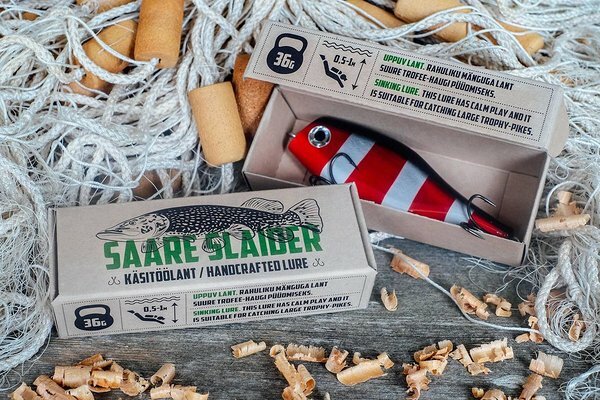 Even tough he hasn't yet found a lure for trout, he's now got a perfect irreplaceable lure for catching pikes – the man trusts Saare Slaider. Over the years Henri has had a lot of memorable adventures as a fishermen. When we asked him to recall his brightest memory of his fishing career it wasn’t surprisingly about any fishing records. „Actually my most memorable fishing story is about how I lost fish“, tells Henri. „I was out alone on the lake Tündre with my inflatable boat. It was really early in the morning and I wasn’t familiar with the lake, so I decided to start trolling. In one muddy hole I decided to try a sinking lure and left the line scrolling. When it started pulling I already regretted my choice of lure – I was afraid that it would probably get stuck in lake bottom. The tip of the rod started to bend slowly and when I tried scrolling, it seemed that the lure is now stuck and I didn’t try hooking. After some time of scrolling I felt smooth and calm, but strong tension, which seemed really suspicious. Soon, this suspicious thing rose to the surface. I saw a large golden back and thick tail with a powerful caudal fin. I had managed to hook my lure into the backbone of an enormous carp. When she rose to the surface, I still had quite a bit of the line in the water. She started to flutter and water around looked like boiling. The fight lasted a very long time, but I didn’t succeed to get closer to the fish. In the end the fish won and a beautiful, huge carp escaped back to its everyday life." 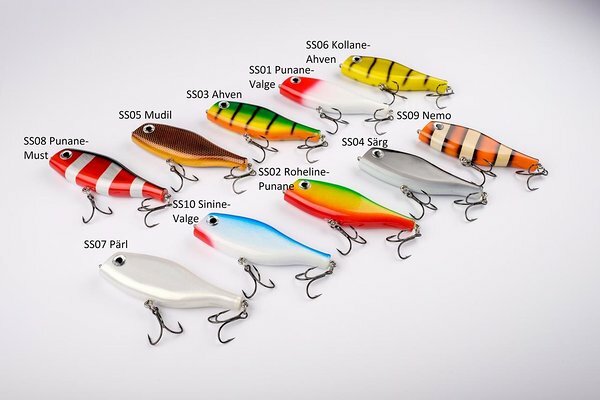 Henri recommends for the beginner fishermen to go out fishing with friends as much as possible and to watch Youtube videos for some valuable catching wisdom. „In the end there is only one secret about catching a fish – only the one who goes fishing has a chance to catch something“. With these golden final thoughts we let Henri back to his routines and keep our fingers crossed that the fresh pike record would soon be broken. 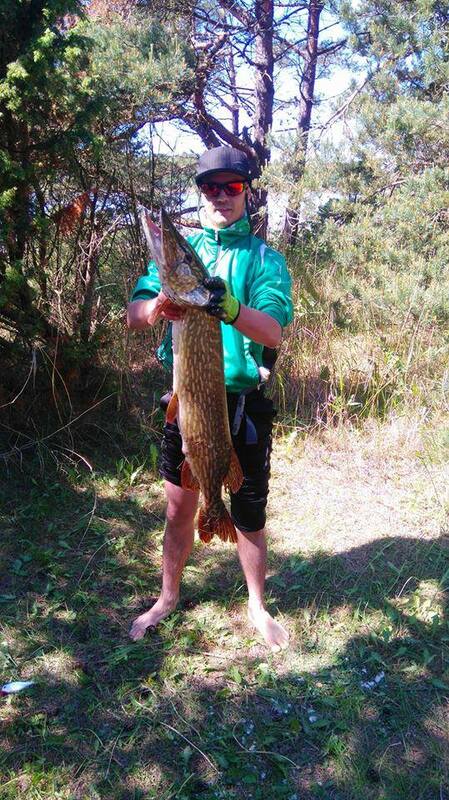 Read more about Henri’s favorite lure!